The Bedford Lodge is ideally situated in the beautiful Shanklin Old Village and is set in its own south facing, private gardens with sloping lawns, mature trees, flowering bushes and a sun terrace with views towards the Downs. The Bedford has been welcoming guests to the Isle of Wight for over 150 years, and was built in the 1840's overlooking the Chine and it was considered to be in an idyllic spot for 'taking the air' and 'promenading'. 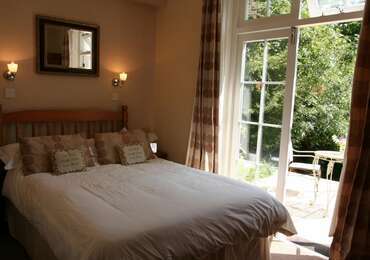 All our bedrooms are individually decorated, several with king or superking size beds. We also have 2 premier rooms, as well as rooms on the ground floor. It's so easy to pop out for a relaxing drink, or grab a bite to eat close by, with a huge choice of fare to choose from;pub meals, cream teas, café food, ethnic and fine dining. Everything is on the doorstep, with only a brief stroll home at the end of a busy day. The beach and Shanklin Esplanade are at the end of the road and Tower Cottage Park and the Chine are opposite. Ideally situated for walking and cycling trials, it's attractively placed for people who like to explore this wonderful island. The close proximity to Yaverland, where the White Air event takes place each year, is of interest to any thrill seeker. We also arrange bike hire, bag moving and have drying facilities. We pride ourselves on our hearty, relaxed breakfast, served until 10am. With unlimited amounts of tea and toast, you can always take a cuppa and sit in the lounge with a paper if you want to. We aim to provide quality food for all diets, just let me know when you book. No problem at all. All our eggs are Free range and as much produce as possible is locally sourced or grown. We stock Soya milk and vegetarian products. The lounge is accessible all day and you are welcome to browse through the books and magazines. Please don't hesitate to contact us if you have a special occasion that you would like to share with us here, we will do everything we can to make it a memorable one. 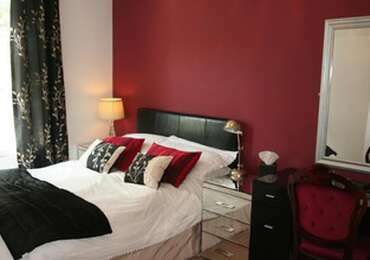 Individually decorated, our double rooms have either a standard double bed or a kingsize bed. They all have ensuite bathrooms, with either a walk in shower, or a shower over the bath. These are the smaller of our doubles but still perfectly formed. They have everything that you need for an enjoyable stay except extra floor space and can be a more affordable option.